His Excellency Prime Minister Adil Abd Al-Mahdi expressed his happiness for launching a new trade exchange stage between Iraq and Jordan for the benefit of the two peoples and the great flow of traffic of trucks through Trebil Border Crossing. His Excellency Prime Minister his Jordanian counterpart Mr. Omar Al-Razaz received the trucks entering through Trebil Border Crossing from both directions and gave for trucks permission to passage. 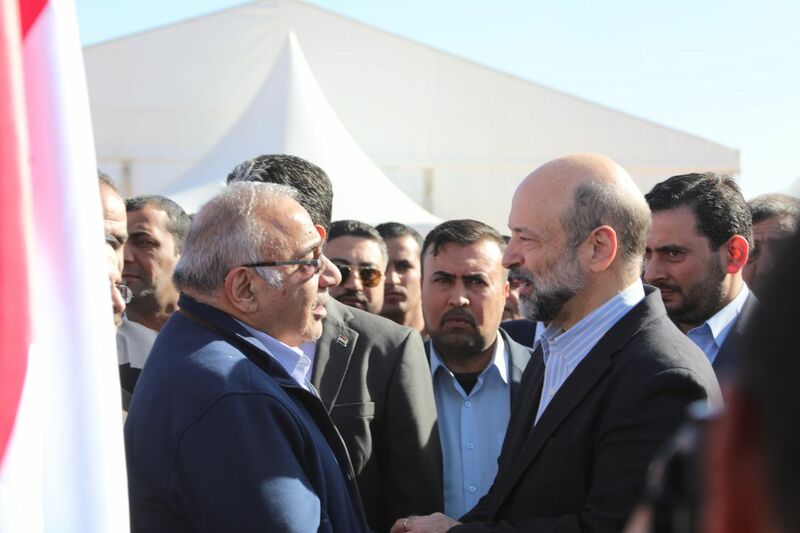 During His Excellency visit to Trebil Border Crossing, he underscored that the revenues of the transport and trade movement will be positively reflected in the labor market in Iraq and Anbar province, especially along the way to the rest of the Iraqi cities, to achieve security, stability, and economic prosperity. His Excellency Prime Minister briefed on the progress of work in Trebil Border Crossing, the number of trucks passing by, after this day and their impact on the doubling of revenues.